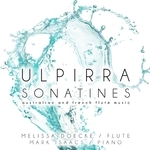 CD: Ulpirra Sonatines : Australian and French flute music / Melissa Doecke, flute, and Mark Isaacs, piano. 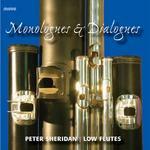 CD: Monologues and dialogues / Peter Sheridan, low flutes. - Kit: The chamber music of Ross Edwards / written by Stephen Lalor.